We've all heard songs about it, from Led Zeppelin's "I Can't Quit You Baby," to Ke$ha's "Your Love Is My Drug," but very few of us have experienced what's known as "love addiction." We know love derives from a desire that can dangerously evolve into a fascination or obsession for some. Now, researchers at Oxford University Center for Neuroethics suggest similar to drug abuse, love addiction stems from a craving and dependency that comes in two types — "narrow" and "broad." “I think it is when you realize you do not want to be in love yet cannot avoid it, and it causes bad things, like abuse, that we cross the line into something addiction-like,” said Anders Sandberg, study author from the Oxford University Center for Neuroethics, New Scientist reported. For the research, published in Philosophy, Psychiatry & Psychology, the team analyzed 64 studies on love and addiction published between 1956 and 2016. Similar to drugs, the team found love can boost reward signals and cause euphoria, while also causing craving, obsessive behavior, and grief when a relationships ends. They concluded, when it comes to love addiction, an addict will either have a "narrow" view or a "broad view." "The narrow view counts only the most extreme, harmful forms of love or love-related behaviors as being potentially addictive in nature," wrote the researchers in the study. By contrast, the broad view, which falls on the same spectrum of normal love, is stronger, but also is categorized by cravings that are still controllable. In this type, addictions are considered to be simply appetites. These needs are temporarily satisfied, but they can become urgent and distracting if the addict abstains from fulfilling these "cravings" for too long. Previous research has noted the involvement of similar neurochemicals and neural activities in processes linked to addiction in love. For example, the states of "being in love" is tied to reactions in compounds like dopamine, oxytocin, vasopressin, and serotonin, along with brain regions known to play a role in trust, creation of feelings of pleasure, and the signaling of reward. This has led scientists to draw parallels between human love and the artificial stimulation of addictive drugs, like alcohol or heroin. This prompted Sandberg and colleagues to explore whether we can truly become addicted to love like we do to drugs. Brian Earp, lead author of the study, and his colleagues acknowledge some researchers do not consider the "broad" type to be an addictive behavior, because experiencing stages of euphoria and depression aren't always bad for us in the long run. Yet, this type of behavior can become dangerous if other interests become less important as the love addict spends more time pursuing the object of their affection. The euphoric feeling derived from these encounters can quickly wane and evolve into depression once they stop. This is what happens during drug abuse: a drug addict becomes more excited to have the drug again, and once they stop for awhile, they fall into a deep depression, because they're unable to get their fix. 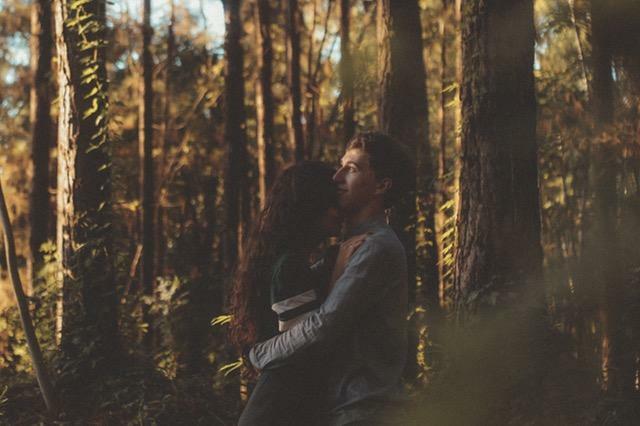 Read More: Is Falling In Love Possible Without Hormones Oxytocin, Serotonin, And Dopamine? Overall, Earp and his colleagues conclude substance dependency and love have a lot more in common than previously thought. Those that struggle with love addiction could potentially benefit from drugs that could disrupt the bond the addict feels with a romantic partner. In a 2013 study, researchers manipulated hormones in prairie voles, monogamous animals that form strong pair bonds via vasopressin. Blocking the voles' receptors for the hormone led the males to stop protecting their mates, and spend more time with other females. So, what exactly is love addiction? Psychology Today describes it as "a compulsive, chronic craving and/or pursuit of romantic love in an effort to get our sense of security and worth from another person." We should ask ourselves, is it love that we're feeling, or do we just crave love to gain a better sense of self-worth and security. Source: Earp BD, Wudarczyk OA, Foddy B et al. Addicted to love: What is love addiction and when should it be treated? Philos Psychiatr Psychol. 2017.